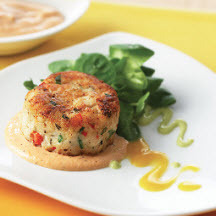 CooksRecipes has quality, kitchen-tested recipes for a variety of fish and shellfish cakes, fritters and puffs that you can count on for successful deliciousness. 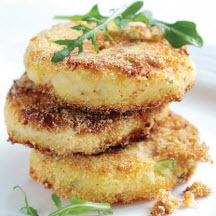 Tender on the inside, crispy on the outside, made with mashed potatoes and instant polenta, these tasty halibut cakes are sure to please. 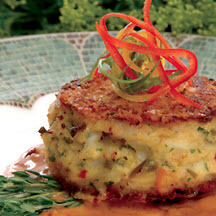 Recipe courtesy of Chef David Ferris, Giardina's in Greenwood, Michigan.